It has been a summer of showers. Really, it has been a few years of showers, but I don’t mind because I love hosting them and having the opportunity to celebrate my nearest and dearest. 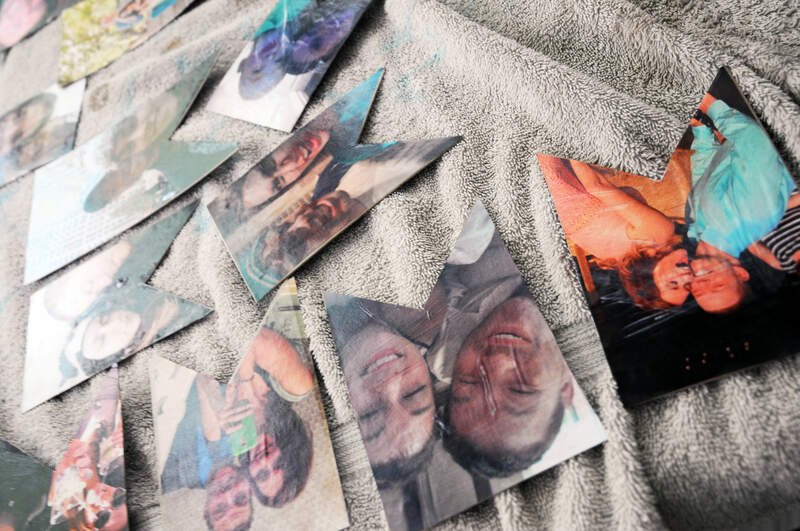 Most recently, I threw a shower for my newest sister-in-law, a couples shower cook out. It was non-traditional, filled with grilled meats, yard games, and a lot of booze, one of the more fun showers I have hosted. Although it was non-traditional, I still wanted a shower feel with sweet decorations and personal touches. 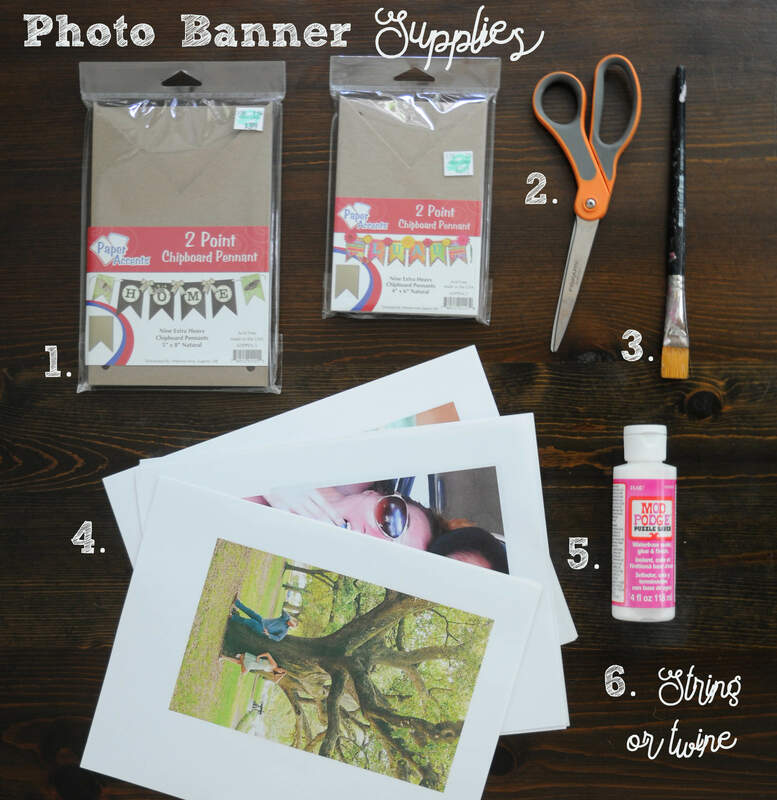 These photo banners are one of the many crafts I completed for the big day, find out how I did it below! 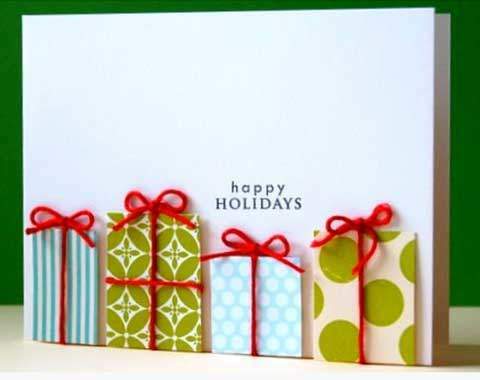 Either cut out a banner shape from cardboard or thick card stock or purchase a pre-made set from your local arts and crafts store. I opted for option B, it saved me time, and at 50% off, it only cost a few extra dollars. 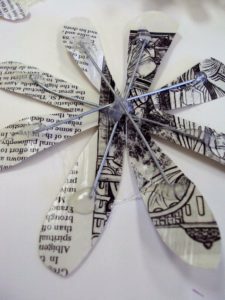 Scissors to cut out your pictures and trim the string. Picture print outs. Since the photo banners were going to hang in doorways I printed enough to do them front and back. I highly recommend printing on heavier paper. I had issues with the standard printer paper bubbling and trying to rip when I painted them with Mod Podge. Mod Podge or some type of adhesive. 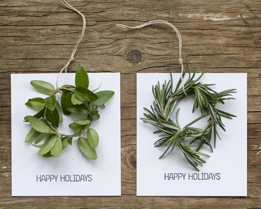 String, twine, yarn, hemp, whatever look you likes best to string the banner sections together. Step one: First thing you have to do is pick up the supplies. All of these items can be found at your local arts and crafts store. Step two: Print out your pictures. size them all to the backing size, mine were 5″x8″ and 4″x6.” As I mentioned above, I recommend using a heavier paper and a high quality printer if you have access to one. I used my standard printer and standard printer paper, and had a few issues come up. Despite some bubbled images, once hung, they looked great. Step three: Trace the banner shape onto the picture print out, and trim as needed. Typically, I recommend doing this on the back of the image, to prevent pencil marks showing up on the front, but with this project I needed to see if any part of their faces were caught in the triangle cut out. 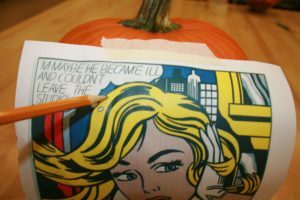 Erase visible pencil marks when you are finished. Step four: Lay the image on top of the banner section, and make sure everything lines up. Use a pencil, pen, or sharp tool to punch holes through the picture, and the banner piece if holes aren’t already punched. Since mine were pre-made, the holes were pre-punched. 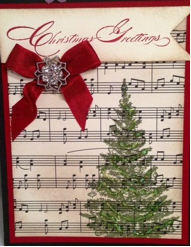 Step five: Coat the back of the picture with Mod Podge (or a type of adhesive) and press it to the banner backing. I chose to coat the front with Mod Podge to give it a more polished look. This picture shows first hand the bubbling I experienced with a few images. 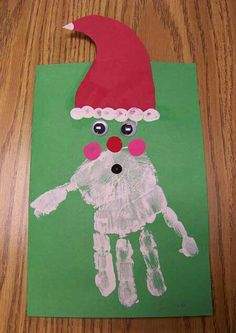 Be as gentle as you can when applying the Mod Podge. If a section does bubble, lightly press it down. It is better to leave it alone, once it dries, you couldn’t tell unless you were close up. Step six: Allow all the pieces to dry. Step seven: Add string to connect all the sections together, leave extra on either side to hang them up. 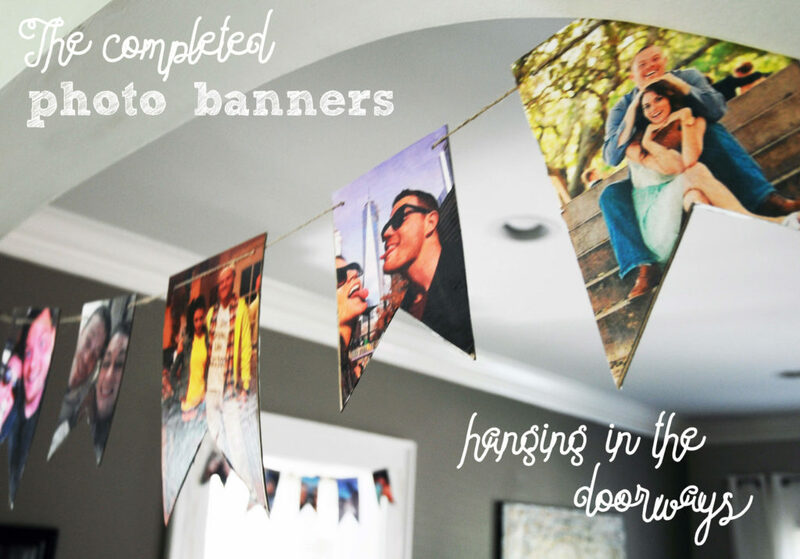 Tie your completed banners up, use tape to tack them to walls, or place the ends under heavy objects. I completed four in total, and hung them in the doorways of my front and back door as well as the opening between my kitchen, living room, and dining room. 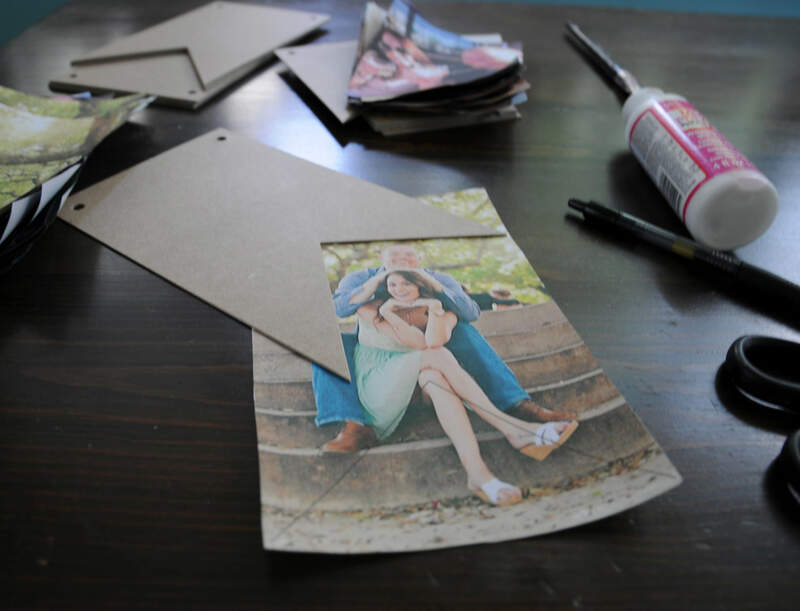 Every banner was double sided, allowing me to include a wide range of pictures of the couple, from formal engagement pictures to Instagram snapshots. This project didn’t take longer than an hour and it added a personal touch to the shower. Creating an artistic pumpkin is much easier than you may think. All you need are a few everyday items and some art supplies, and you can create a pumpkin masterpiece too! Read the instructions below, little to no artistic knowledge is required! STEP TWO: Tape the image to your pumpkin, you may have to fold it in order to make it fit around the shape of your pumpkin, but do your best! 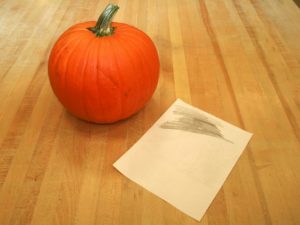 STEP THREE: Trace over all of the lines in your image with a pencil. 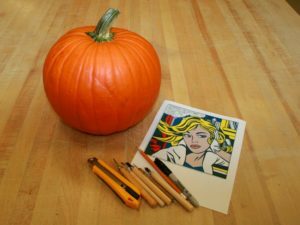 By putting pressure on the front of the image you are transferring the pencil on the back of the image onto the pumpkin. 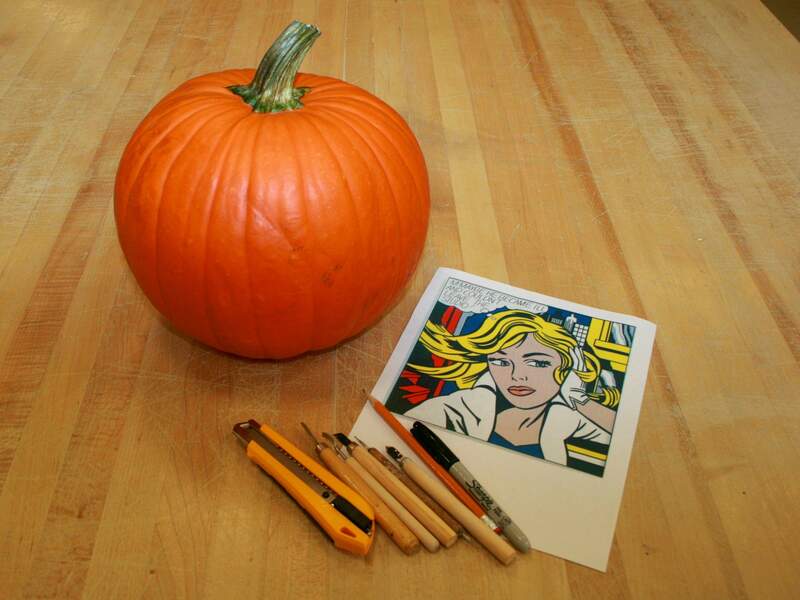 Try not to rub the image unnecessarily, this may cause pencil to transfer to the pumpkin in areas you don’t want it to. STEP FOUR: Outline everything in black to make it easier to see your lines. Fill in the areas you want to carve out completely with sharpie. 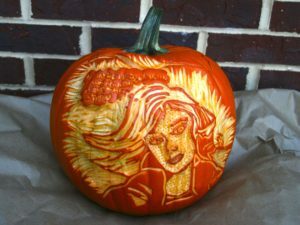 This will help you stay on track when you start carving. 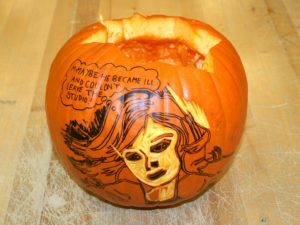 STEP FIVE: Cut open the top, clean out your pumpkin, and start carving! Use the xacto and box cutter to cut small areas all the way out. 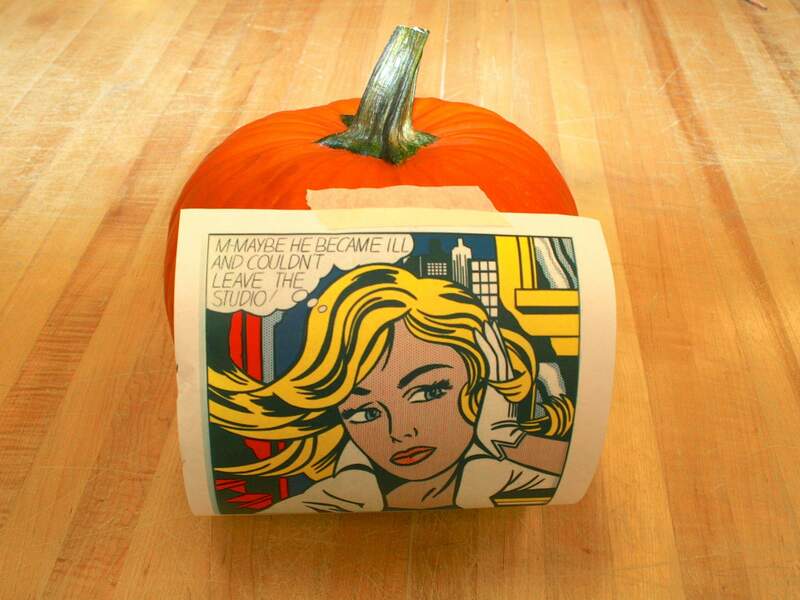 Use the printmaking or carving tools to carves areas you want low, but not cut all the way out. 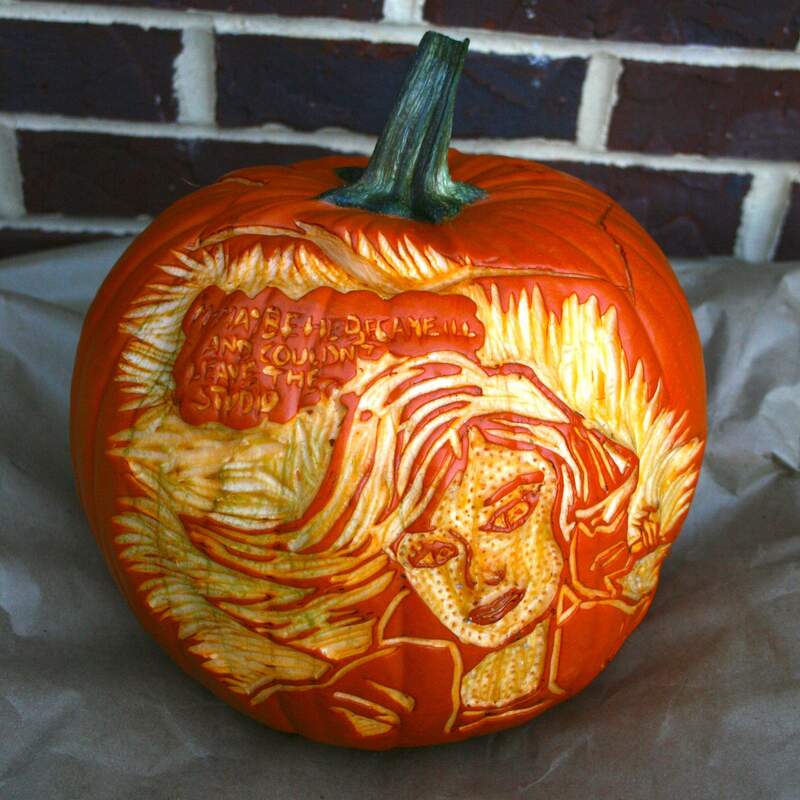 Make sure you carve deep enough for light to be able to shine through! 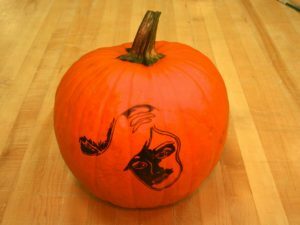 You can also use a spoon and scoop out the inside of the pumpkin to make the walls thinner from the inside. STEP SIX: Put a candle inside and enjoy your artistic, masterpiece pumpkin! Happy Halloween! Check out my video here to see even more images of the process! I hope you enjoyed my Halloween post! Please help me spread the word about my blog by sharing with others, repost, like, tweet, subscribe, and comment! I love to read. It is one of my favorite past times to curl up with a good book, take a break from the real world, and escape into the sea of words held in the pages of my most recent reading adventure. My reading obsession has broaden my world, without ever having to leave my house. But, it is has constricted my closet. My poor books, with nowhere to go, have ended up in boxes filling every closet in my house. I longed for a bookcase to display them, but our small house has little space for the book trophy case I require. After two years of racking my brain for any available space to display my books, it finally hit me. The space behind our bedroom door at the top of the stairs was a dead space. A small nook, with nothing there. It was a small, narrow space, useless for most things, but perfect for a bookcase. Nick and I have done A LOT of projects around our house, which has also caused our bank account to sag a bit. My need for a bookcase was trumped by our bank accounts need to withhold funds. However, I was impatient, and as usual I found a way to get it done right away. 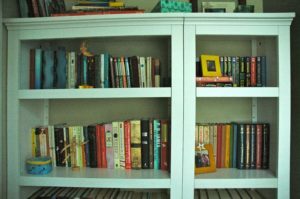 Rather than spend a lot of time and money constructing a bookcase from scratch I did some research and found two pre-fab bookcases from Target that fit perfectly. I loved the look of the two cases next to each other because it not only filled the space but it also looked more like a unique, custom built bookcase. Below are the supplies and set-by-step instructions on how I completed this DIY, home improvement, craft project. 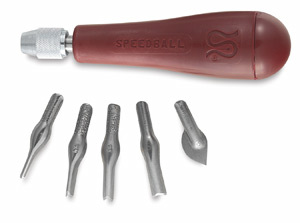 All you need are a few basic tools, and basic knowledge on how to work them. Due to my impatience (in life and with this project) I decided I wanted to get this project done in one weekend, which also happened to be a weekend Nick was out of town. I am proud to say I did this 100% on my own, which shows how easy it was! STEP 1: Remove the molding from the wall. I had never done this before and was afraid I would break the molding or punch a hole in the wall. I had to take a minute to allow my impatience to subside before I started my research, gathered my tools, and prepped before I jumped right in. First use a box cutter to slice the caulk between the molding and the wall. Then use a metal scrapper to wedge between the molding and the wall. Wiggle it slowly to loosen the board and the nails. Once you create a space between the molding and wall place a scrap piece of wood on the wall and a pry bar in the space. Slowly pry the molding off with the pry bar, making sure to put pressure on the scrap wood on the wall. This will disperse the weight and prevent the pry bar from punching a hole in the wall. Use a hammer to remove all of the nails. I used a great website to help me with the process, check it out here! STEP 2: Pre-fab bookcase… While looking around for the perfect case I found that the cheapest places to find bookcases are Target, Walmart, and IKEA. If you are flexible on color and size the process won’t be too difficult. Since I had a very specific size space and wanted a white bookshelf, it took a few weeks plus an in store and online purchase to get what I needed. Put together your bookcase according to the directions that came with it. 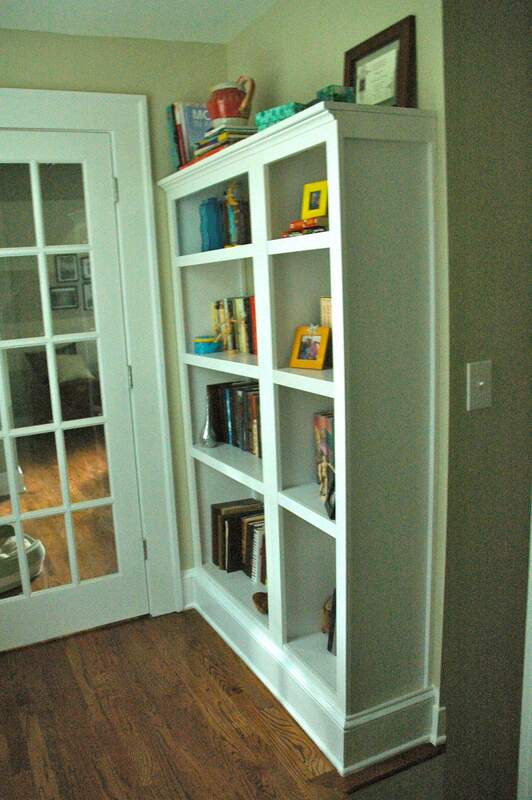 Place the bookcase in the area you want to install them. Make any adjustments necessary, make sure the bookcase is level. (Living in a 1940’s home there are a lot of odd things in my house, including uneven walls. I had to place a scrap piece of wood under the front legs of the bookcase in order to push the bookcase against the wall.). 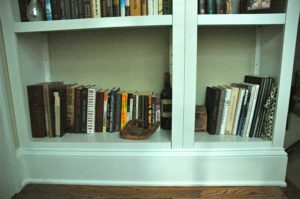 Use a screwdriver to create holes through the bookcase and into the wall, to create a pilot hole for the dry wall mollies, and to make it easier to insert screws. When doing this always make sure the drill bit you use is slightly smaller than the screw you are using. 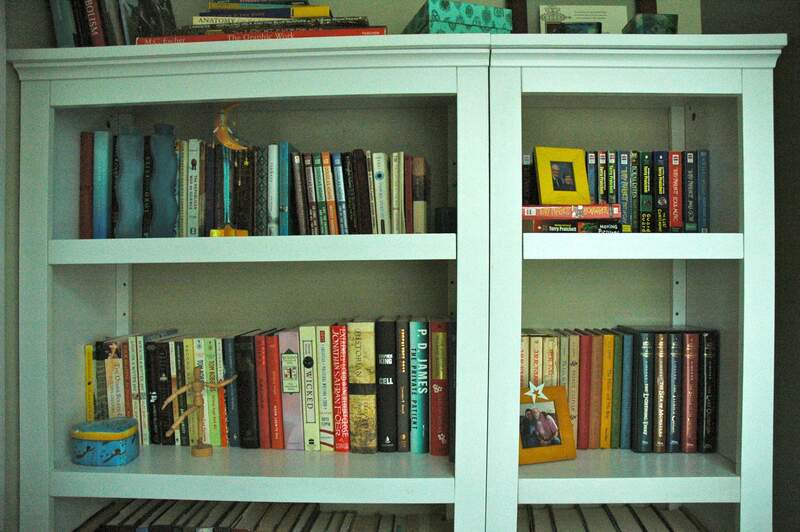 Place dry wall mollies where they are needed and use screws to attach the bookshelves to the wall. STEP 3: Reattaching the molding… I had to take my existing molding and re-cut it in order to piece it together on the front of the bookshelf. 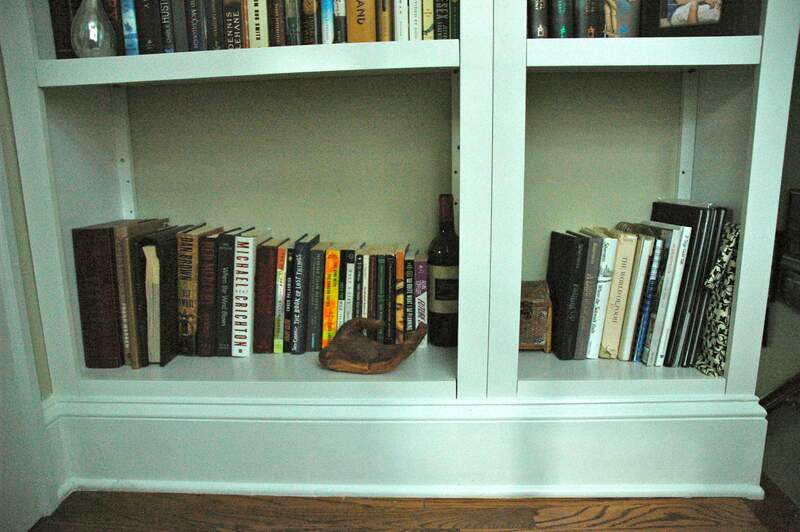 Using a circular saw make any adjustments necessary to piece the molding together on the front of your bookshelf. In order to create a clean look on the corners cut the molding at 45 degree angles. Attach the molding to the front of the bookcase and nail it with finishing nails. Spackle on top of the nails heads in order to make them blend in. Caulk the top edge of the molding to create a clean look. Spackle over any holes in the bookshelf. 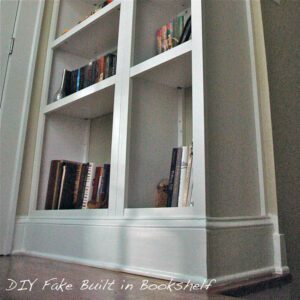 If you are 100% satisfied with the placement of the shelves, Spackle over the shelf adjustment holes in order to make it look like a custom built shelf. 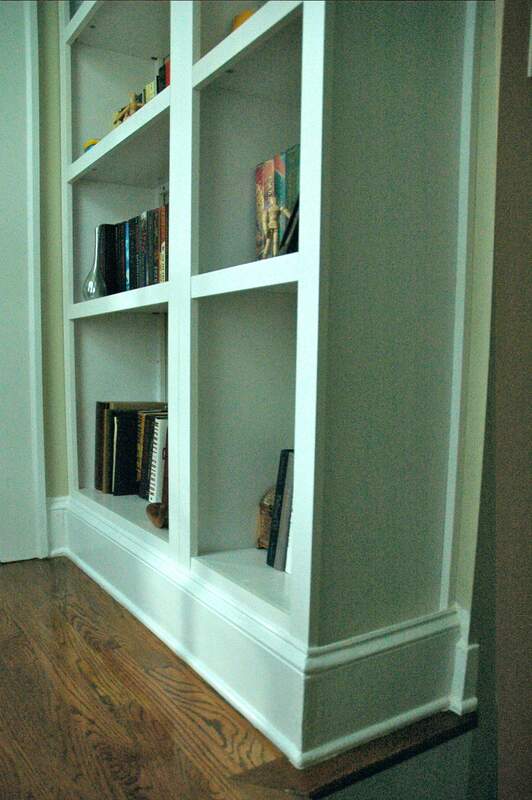 Paint the molding to cover up the Spackle, paint the shelf where it is necessary. Put your books on display! This was a fun project that anyone can do! 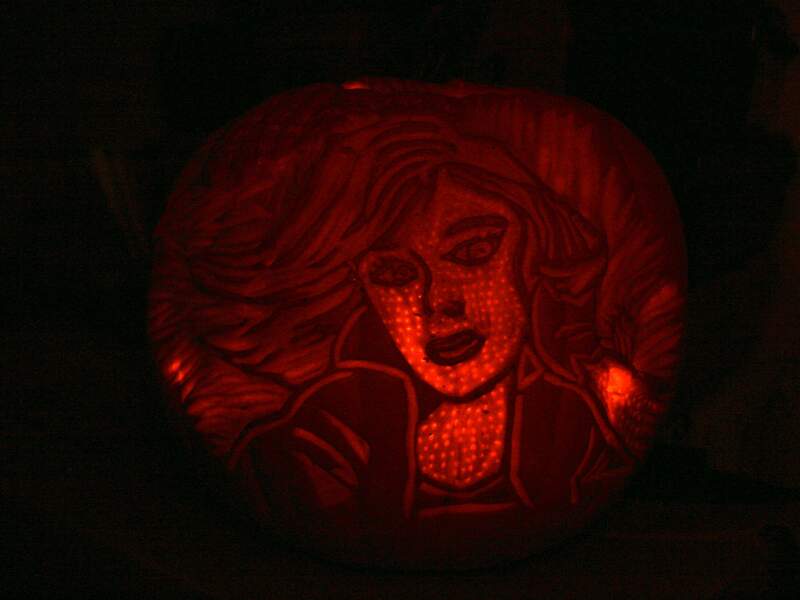 It took me a couple of hours, and the end result was worth every minute! You can use whatever color yarn best suits your taste and home decor. 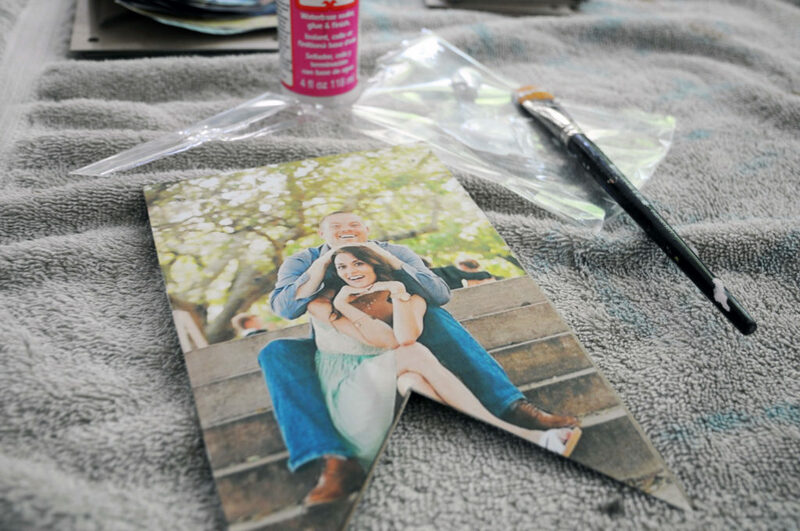 You can add more flowers, or take them away, a completely customizable project! Read my instructions below, or watch the youtube video (click here or watch below) to find out how I made my wreath! All you need to get started is a foam wreath form, three colors of yarn (or more, or less depending on the style and pattern you want), hot glue, scissors, and supplies to make paper flowers. To get started you hot glue the end of the yarn to the back of the foam form. Start wrapping the yarn around the foam form, keeping it as tight and even as possible. 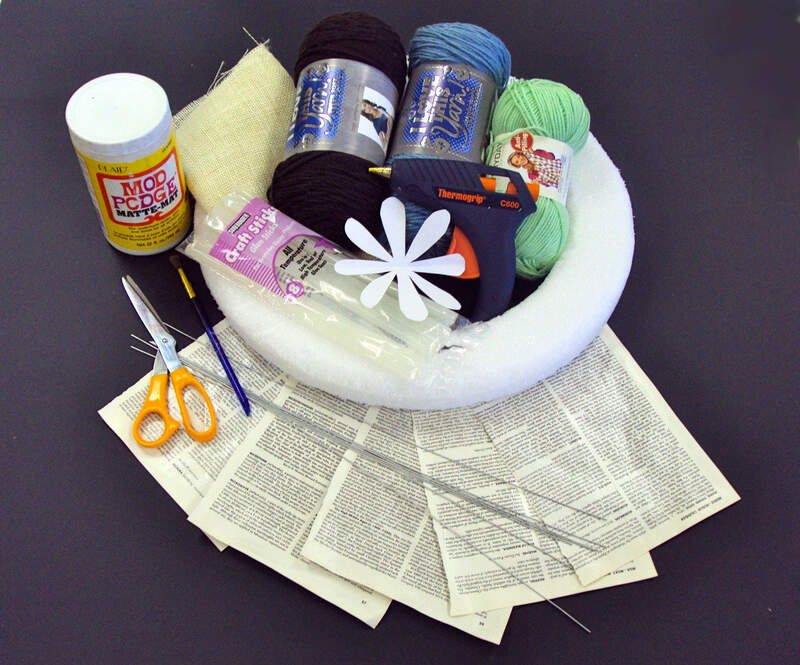 Once you wrap all the way around, cut the yarn, and glue it down to the back. Start the next color yarn by also gluing down the end, start wrapping, spread it out a little as you go to create an interesting pattern. I added three colors total, brown for the base, blue for the next layer, and green on top. I wrapped the brown so it completely covered the foam form, and I started the blue close together, then spread it out. I did not wrap the blue around the entire form, instead I left a little bit of solid brown on one side. 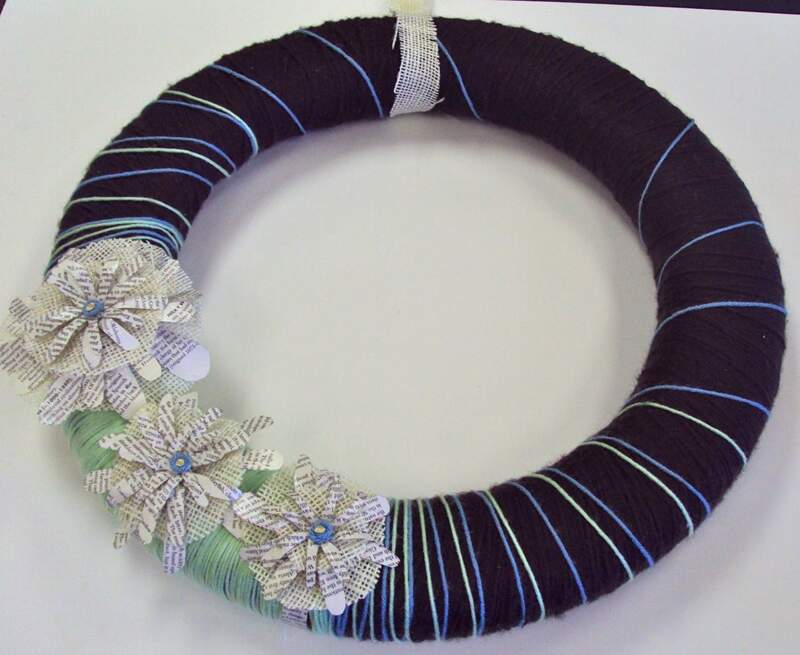 I wrapped the green yarn tight on one section, so it would be green in the area where I would attach the paper flowers, then spread it out as I moved around the wreath. 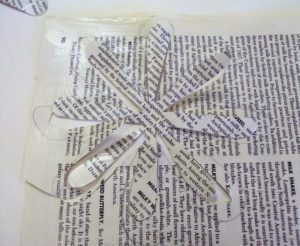 To create the paper flowers you need book pages, mod podge (if you want them to be waterproof), scissors, wire, a pencil, burlap, and hot glue. If you want the flowers to be water proof first coat the book pages front and back with mod podge, I typically paint it on with a paint brush. 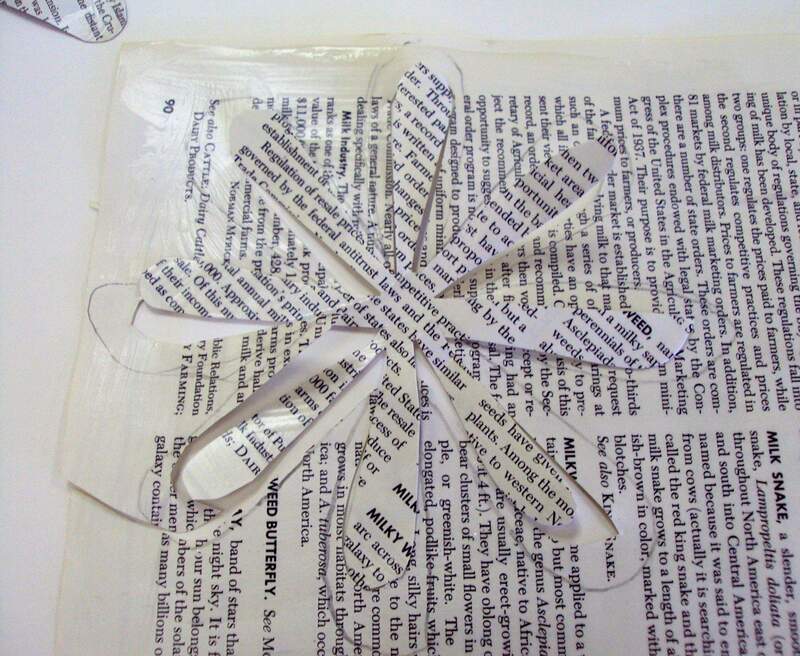 Cut a flower form out of any paper, and use it as a template to trace around on the book pages in order to get consistent size and shape flowers. I stack 3-5 layers of flowers, in sizes that go from large to small, to get a 3D flower. To get smaller size flowers I trace around the original template, then cut just inside the line. 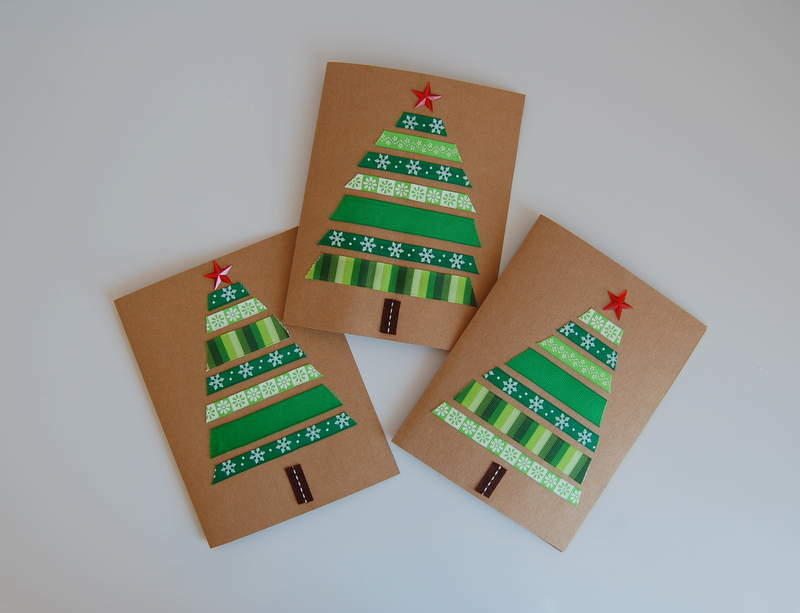 I then use the smaller cut out to create the next smallest size, etc. Loosely trace around the outer edge of the template on the burlap, and carefully cut it out. Attach wire to the back of the paper cut outs, using hot glue, so you can bend and move the petals of the flower. 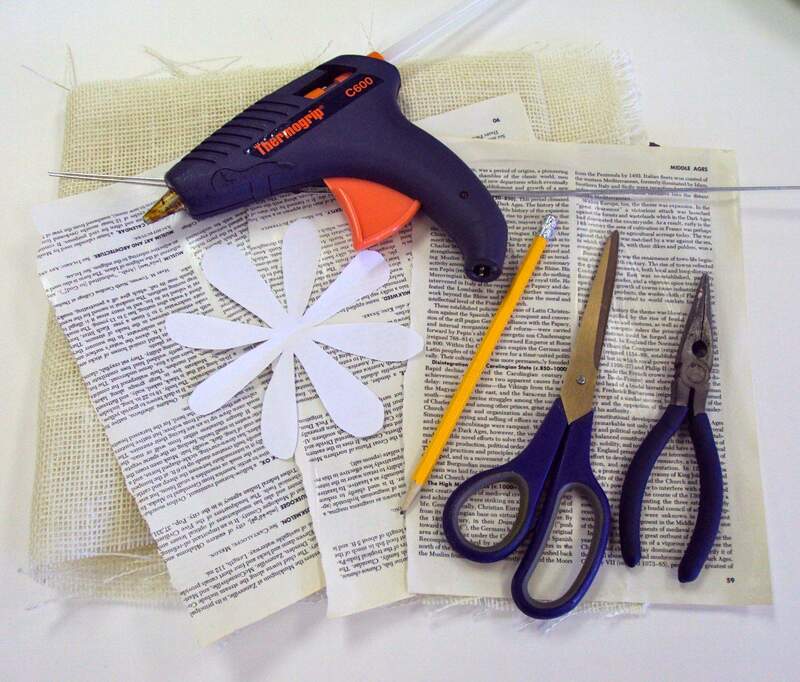 Stack the various paper flower sizes, with burlap in between, and put hot glue between each layer. Attach the flowers to the wreath using hot glue. 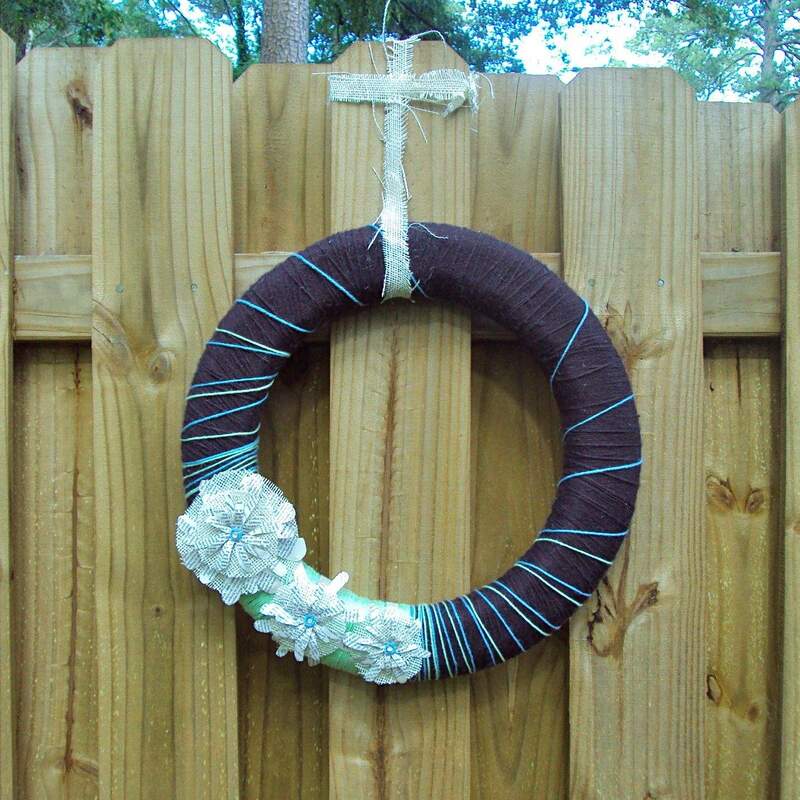 Either use a wreath hanger, or attach string or a strip of burlap to hang it from. 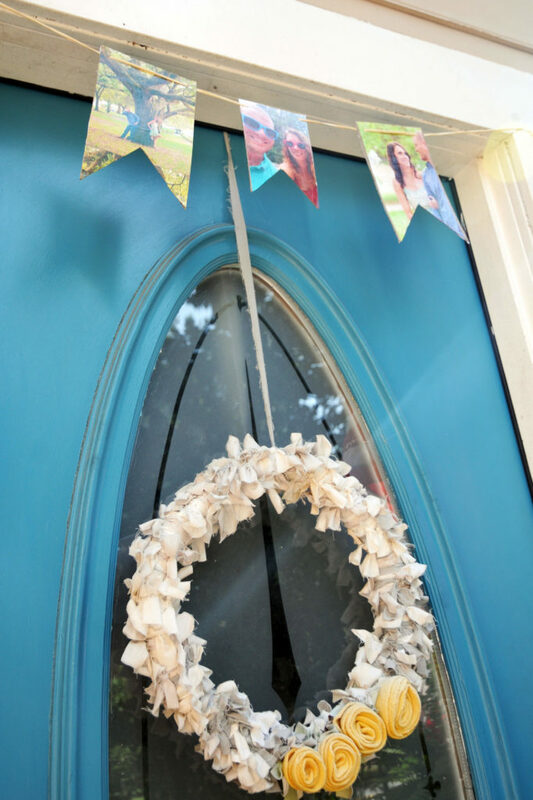 Enjoy your finished project, it’s the perfect way to dress up your front door in less than a day! I hope you enjoyed my yarn wreath tutorial. If you did, help me spread the word about my blog! Share with others, e-mail, subscribe, and please comment! Thanks for stopping by!